By day Abby Russell (Paz de la Huerta) is a dedicated nurse, someone you wouldn't hesitate to trust your life with. But by night, her real work begins...using her smoldering sexuality she lures cheating men to their brutal deaths and exposes them for who they really are. When Danni (Katrina Bowden) a younger nurse starts to suspect Abby's actions and compromises her master plan, Abby must find a way to outsmart her long enough to bring the cheater you'd least expect to justice. otsoNY Comments: Although this movie is supposed to be set in New York City, it has actually been filmed in Toronto in Canada. Proof of this fact is clearly seen in the hotel scene featuring Katrina Bowden. 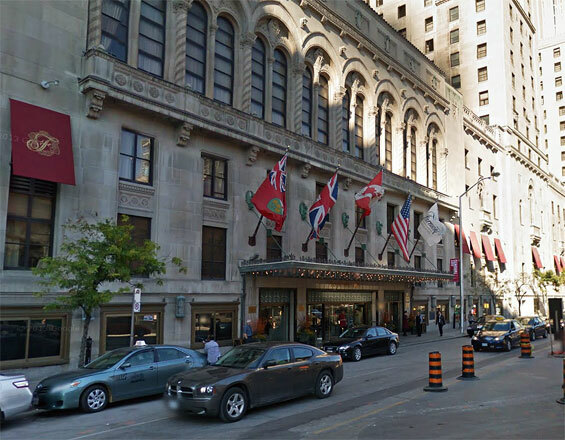 The Fairmont Royal York, 100 Front Street W, Toronto, Canada.